Empathize with your children, and let them see you empathizing with others. Let them learn through experience and observation. This will build trust between you as you model concern for them and for others. Set high ethical standards for you and your children that make caring for others a priority, and make this priority a part of your daily lives. Convey a clear and consistent message that we have a responsibility to tend to those around us. In addition to modeling empathy, provide frequent opportunities for your children to practice empathy. Talk about characters from television and books from an empathetic lens. 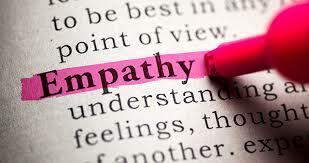 The more they practice empathy, the more it becomes a natural occurrence. Zoom out to expand your child's circle of concern and encourage them to consider multiple perspectives. Zoom in to help your child develop strong listening skills. This will also help build tolerance and respect, in addition to empathy. Nurture social-emotional development, and help children develop self-awareness and self-monitoring. Children will begin to identify and redirect triggers; they will learn to manage negative emotions. Additionally, they will be developing stronger relationship skills. Address your child’s own needs, and teach him how to “bounce back” from distress. This helps to build resilience. Be a “mind-minded” parent, and teach children to be cognitive of their emotions. Help them to see how emotions influence both pro- and anti-social behaviors. Show children how to “make a face” while they try to imagine how someone else feels. That action actually helps the brain to trigger the emotion in them. One of Dewar's tips is for older children, but something all adults should remember; that is, to understand the mechanisms of "moral disengagement." Studies suggest that when we are given seemingly logical and reasonable rationale, it becomes possible for us to justify harming others and also to detach ourselves morally from observing acts of cruelty. 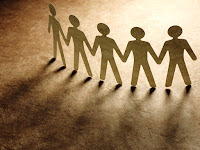 Empathy requires the solid connection of people. Bullying and empathy cannot co-exist. Adults are no less vulnerable to the influence of social messages and social pressures. As we help our children develop empathy, we must also be mindful to stay morally engaged with the world. Our children are watching.